Bradley Manning, the US Army intelligence officer accused of passing sensitive military documents to whistleblowing website WikiLeaks, has pleaded guilty to ten separate charges. The army, however, will pursue the grave charge of aiding the enemy. Although the army judge has accepted Manning’s guilty pleas on ten counts, the remaining 12 charges are still to be reviewed. 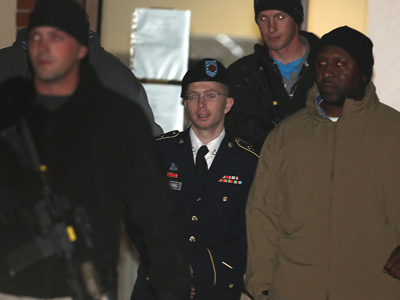 The army accuses Manning, 25, of aiding the enemy. He is slated to go before a military court-martial this June. If convicted, he could face a life sentence. 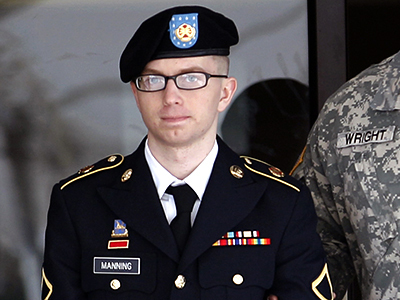 Private First Class Manning told a military court that he was responsible for uploading a trove of material to the whistleblower website and pleaded guilty to 10 counts, RT's Andrew Blake reported from the courtroom. 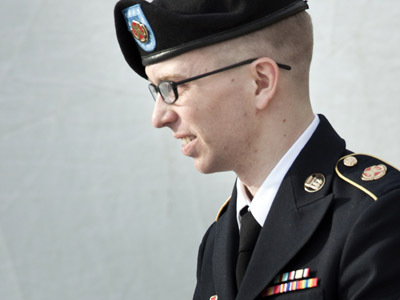 After his plea was read to the court, Pfc Manning for the first time formally admitted guilt in the court, more than 1,000 days after being arrested. Reading a 35-page statement from his seat before Col. Denise Lind, Manning explained why exactly he risked his life to publish state-secrets. Pfc. 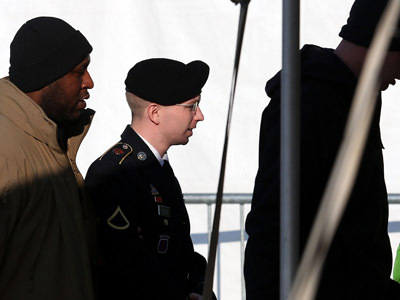 Manning pleaded not guilty to aiding the enemy and a number of other lesser charges, but told the court he’d like to take the blame for a series of other counts — charges that were not presented by the government but introduced by the soldier himself. In lieu of a laundry list of charges that could put Manning away in prison for life, he hopes the court will convict him of only ten lesser offenses that come with only a maximum sentence of 20 years. Manning pleaded guilty to unauthorized possession and willful communication of sensitive material, including the hundreds of thousands of State Department cables and other materials provided to WikiLeaks. By pleading guilty, he waves the right to appeal a decision made earlier in the week in which the court ruled that Manning’s right to a speedy trial was not violated. In explaining himself, Manning told the court that he communicated with unidentified persons he believed to be working for WikiLeaks, and assumed he was speaking with founder Julian Assange. Manning says he only sent the anti-secrecy website material after being rejected by other outlets, however. “I never received a reply from the New York Times,” claimed Manning, even though he left the paper with multiple ways to be reached, including his Skype name. In an interview with British public television, Assange referred to Manning as "America's foremost political prisoner," adding that "the only safe way to get these cowards to publish anything is to get WikiLeaks to do it first." 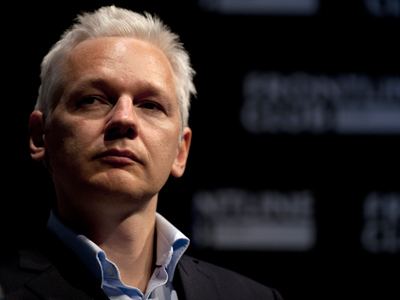 "All those involved in the persecution of Bradley Manning will find cause to reflect on their actions," Assange asserted. 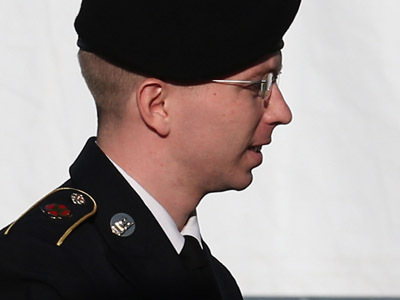 Earlier, during this week’s pre-trial hearing, those in the Ft. Meade, Maryland, courtroom were told that Manning hoped releasing intelligence to WikiLeaks would “spark a domestic debate on the role of our military and foreign policy in general.” Last year, WikiLeaks founder Julian Assange credited the materials attributed to Manning with helping end the US war in Iraq. Among the materials Manning said he handed over were State Dept. cables, Pentagon logs referred to today as the ‘Iraq and Afghan War Diaries,’ as well as video published by WikiLeaks under the title ‘Collateral Murder.’ With that release, WikiLeaks showed US soldiers onboard an Apache helicopter opening fire on Iraqi civilians, including a Reuters photographer. "For me, this seemed similar to a child torturing ants with a magnifying glass,” Manning said Thursday of the footage. In regards to the war logs, he said his opinion remains that the releases consisted of “two of the most significant documents of our time.” The cables, he added, “documented backdoor deals and seemingly criminal activity that didn’t seem” to fit with the public’s perception of an ethically-sound America. Previously, Col. Lind expressed concern over having Manning read a sworn statement, instead preferring for him only to answer questions while on the stand. “He can try to read it, but I am going to stop him” if the contents are not relevant to being guilty of committing the lesser offenses of entered in the plea, she said. “He understands his statement and he understands the elements he needs to plead guilty,” Manning’s attorney David Coombs told the judge. 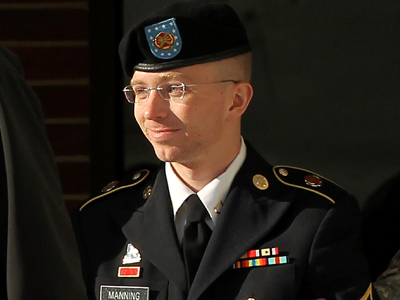 Manning has been detained for over 1,000 days without a formal military trial, and will see the start of his fourth year behind bars this May. The only other time he has spoken publically on the stand was in December 2012, when he testified about the conditions he endured while detained at a military brig in Northern Virginia. 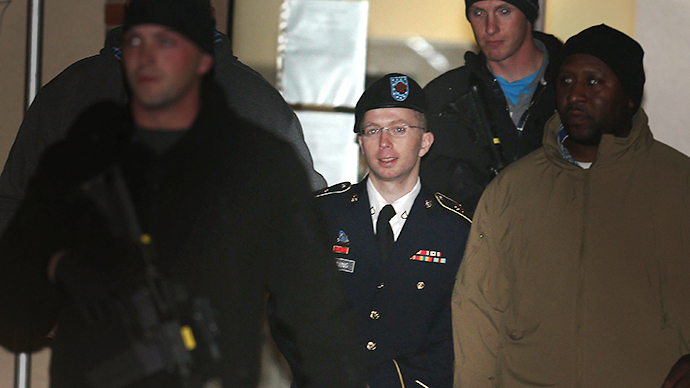 Lind agreed to take 112 days off any eventual sentence for Manning due to the poor treatment. Earlier this week, she dismissed an attempt by the defense to have all charges against Manning dropped over an alleged violation of the ‘speedy trial’ statute.